WTH? What the heck? What the hell? WTF? Is the world a big place or have I truly lived a sheltered life? I had never seen a book trailer never mind even knowing the term meant. But with the advent of the Internet and its taming by search giant Google, my idle moments of unfettered aimlessness are no longer limited to channel surfing on my television set. A book trailer is like a movie trailer except for a book. (God, am I a genius?) It apparently employs all the techniques of multimedia and from some of the examples I've seen, very much gives the impression of a movie trailer. Maybe this is a preview of what the movie made of the book is going to be like? Wikipedia defines a book trailer as a video advertisement for a book which employs techniques similar to those of movie trailers. They are circulated on television and online in most common digital video formats. The same article explains that the term "booktrailer" (I guess as opposed to "book trailer") is copyrighted by one Sheila Clover of Circle of Seven Productions. This company produces media advertising for literary works. The first book trailer was made in 2002 but the expression apparently caught on in 2005 when user-generated online video uploading took off. The results vary from trailer to trailer. In its basic form, I see a trailer can consist of a number of still pictures set to music. Text from the book or text about the book can appear on the screen or a narrator may read the text. I note that the addition of panning increases the drama of the presentation. Just a personal FYI. The Macintosh has a terrific program for making photo slideshows. I found it an intriguing addition to showing a slide how the presentation can either move in on a slide getting closer to the centre or whatever point you want to focus on or starting in close and moving out showing more and more of the photo. This technique takes an ordinary slideshow and makes it quite eye-catching. It is this type of media presentation I have seen used in book trailers to great effect. Obviously still photos are where most trailers start but some trailers go a step further providing animation and flash videos. I have heard tell that in some cases, a trailer may involve a full production which includes actors. Whatever the case, the purpose is to tell a bit of the story and generate interest on the part of the readers to slap down their money for the book. And nothing like some good visuals coupled with some pertinent music to up the ante and capture out attention for whatever hopeful page-turner the publisher is hawking. One company showed pricing as inexpensive as a few hundred dollars to produce a book trailer all the way up to ten thousand dollars. Wow. I realise now in researching this that an entire industry has sprung up around the production of book trailers. There are web sites dedicated to book trailers (vabbler.com), sites which show how to make book trailers and even awards for book trailers. Considering that a trailer is a mini-movie like a commercial is a mini-movie, I guess it's not surprising somebody would make up a prize for the best of the lot. According to the New York Times Best Sellers of October 23, 2011, I see in the category for Hardcover Fiction the number one book is Shock Wave by John Sanford. The superstore chain PyeMart has its sights set on a Minnesota river town, but two very angry groups want to stop it: local merchants, fearing for their businesses, and environmentalists, predicting ecological disaster. The protests don't seem to be slowing the project, though, until someone decides to take matters into his own hands. The first bomb goes off on the top floor of PyeMart's headquarters. The second one explodes at the construction site itself. The blasts are meant to inflict maximum damage--and they do. Who's behind the bombs, and how far will they go? It's Virgil Flowers's job to find out . . . before more people get killed. According to the New York Times Best Sellers of October 23, 2011, I see in the category for Combined Print and E-book Fiction the number three book is The Affair by Lee Child. This trailer is interesting in its combining of stills and live action. "This is a suicide mission, Reacher. You should have turned this down." March 1997. A woman has her throat cut behind a bar in Carter Crossing, Mississippi. Just down the road is a big army base. Is the murderer a local guy - or is he a soldier? Jack Reacher, still a major in the military police, is sent in undercover. The county sheriff is a former U.S. Marine - and a stunningly beautiful woman. Her investigation is going nowhere. Is the Pentagon stonewalling her? Or doesn't she really want to find the killer? Set just six months before the opening of Killing Floor, The Affair marks the turning point in Reacher's military career. If he does what the army wants, will he be able to live with himself? And if he doesn't, will the army be able to live with him? A novel way of showing a video. Or is it a video way of showing a novel? 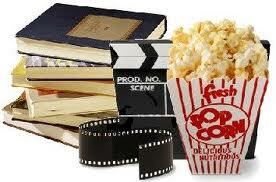 A book trailer can present the book, hook our attention then end with the tagline, "Coming to a bookstore near you." I have to chuckle because in watching a book trailer I can almost see the movie and I wouldn't be a bit surprised if somebody writes with the idea in mind of a movie, not necessarily the book itself. It certainly is an interesting way of whipping up some enthusiasm for a publication. Coming to a bookstore near you; (possibly) starring Tom Cruise. Book Trailers can be acted out, full production trailers, flash videos, animation or simple still photos set to music with text conveying the story. Circle of Seven Productions (COS Productions), incorporated in Brentwood, CA., created the first Book Trailer in 2002. Previously, the publishing industry had not taken full advantage of the opportunity that video marketing affords authors and publishing houses. COS Productions continues to be the leader in book trailer production in the U.S.; winning several prestigious awards for both broadband and broadcast videos.